Since 2007 as part of the DGIS funded National Partners Initiative, CAS-IP commissioned various case studies – results of which can be downloaded here. Currently in the pipeline to be finalised are another seven case studies from Thailand, Philippines, China, Kenya, Nigeria, Indonesia and Syria. 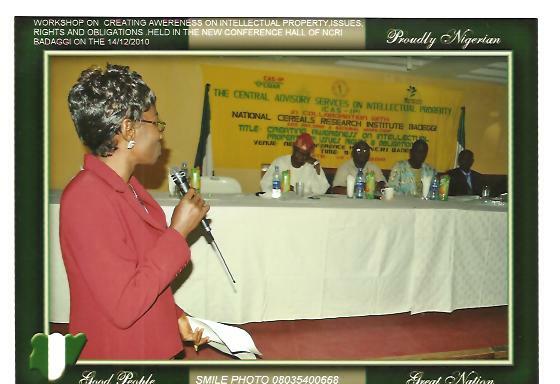 Recently our colleague in Nigeria, Ms C. H. Abo from the National Cereals Research Institute (NCRI) sent me some information about how she used her draft case study as a starting point for holding a national workshop on the subject of IP, which took place at the end of last year. Congratulations to Ms. Catherine Abo for this initiative and for the interest she leveraged! 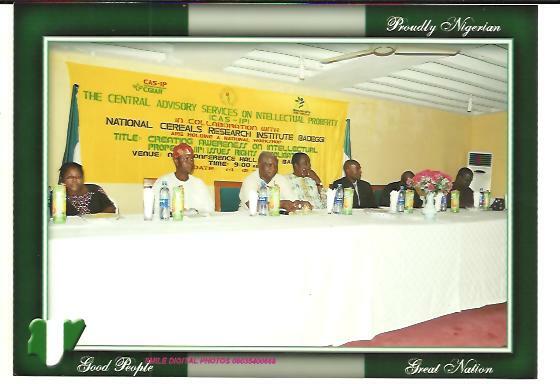 As you may already know, CAS-IP facilitates a community of IP practitioners called the National Partners Initiative, the NPI. Started in May 2007, the community consists of approximately 45 IP/TT practitioners, across many countries and regions, working together in a sustained manner to improve their individual skills and institutional capacities. The result is recognition and confidence that developing country IP professionals can serve the needs of agricultural institutions. This initiative provides a forum for exchange of IP practices, and stimulates the essential on-the-ground capacity and knowledge of Intellectual Property Management, Technology Transfer and IP issues. One of early start initiatives of the NPI was to create a database of IP practitioners in each of the NPI countries. 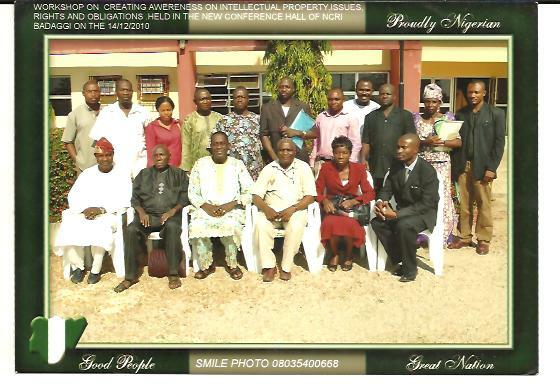 The objective was to develop a consolidated resource of all the component parties of IP practice. This would include researchers, legal personnel, tech transfer and technology managers, farmers’ groups and civil organizations involved in innovation cycles. Examples of contacts on the lists would be persons with expertise in contract drafting and negotiation, experience in application for trademarks in India, experience with Plant Variety Protection in Tanzania, etc. On an ongoing basis all members are encouraged to prepare and continually update this list. The exercise has proved very useful, not only as a shared resource but also to those who have now taken the time to compile the list for their own country. 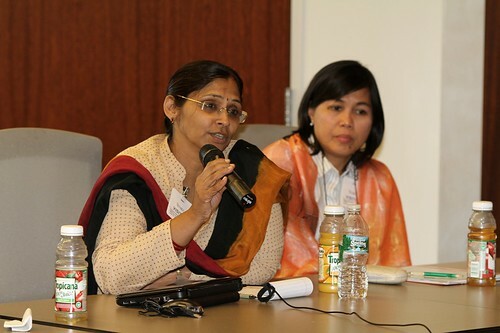 The members of the NPI have unique networks of IP practitioners in developing or emerging economies. The lists so far compiled are available for use by all the NPI members on our shared space. Possible extended users of the data could include organisations seeking to commercialise an agricultural product in one of the participating countries, or donors/project managers seeking partners for advocacy to explore the use of IP tools such as trademarks, market segmentation, branding, as a means of creating more value for producers, especially small holder farmers and those that farm marginal areas. For privacy reasons we cannot share the lists with external parties, however, we could arrange for information to be disseminated on a case-by-case basis. I wanted to share for this blog some impressions of the NPI from the NPI members themselves. This project really is IP in action in the agricultural development arena! As you may have read during June (see this collection of posts) the NPI met for its Annual Meeting in Washington DC. Personally I always experience not just one, but several ‘moments of clarity’ during these meetings. Our discussions around some of the nuances of IP management in agricultural development come into focus with the case studies and personal experiences of the group. And, the dynamic of the group is one of sharing and support – it’s as if experiences of members are somehow ‘peer reviewed’ giving individual members the confidence and authority to speak out within their own institutions. When starting out with this project in 2007 we hoped that over time the group would perform the functions of an international professional society, and in our fourth year this has been realised. But don’t just take my word for it – here are some impressions from the members about what the NPI does for them.